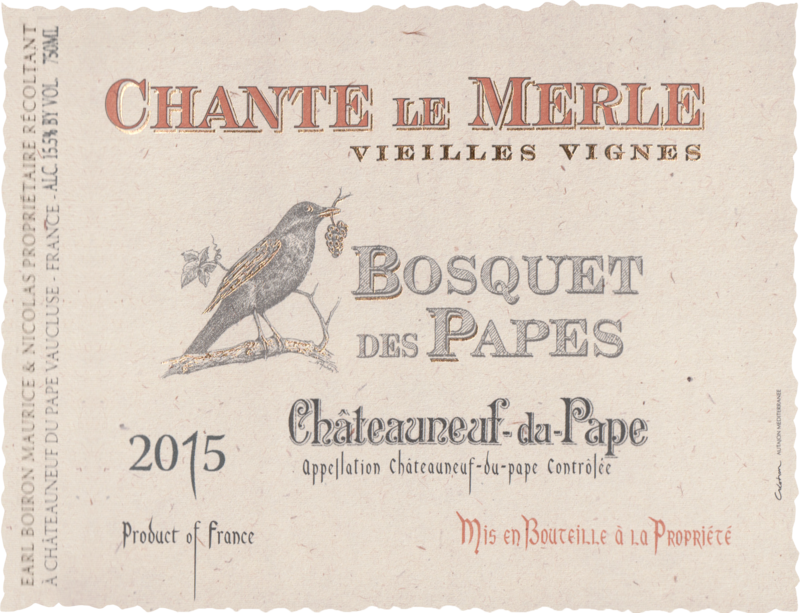 "I love the 2015 Châteauneuf-du-Pape Chante Le Merle Vieilles Vignes, and it's the most balanced and complete of this estate's 2015s. 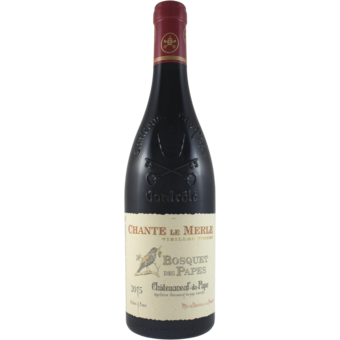 Garrigue, kirsch, spice, dried earth and garrigue nuances all flow to a full-bodied, supple, beautifully textured red that has classic aromas and flavors, polished, elegant tannin and a great finish. It's approachable today, yet will be even better with short-term cellaring and drink well for a decade or more. The 2015 is 86% Grenache and 7% each of Mourvèdre and Syrah, from 80-90-year-old vines, fermented with 100% whole clusters and aged in foudre (60%), demi-muids (30%) and concrete tanks (10%)."